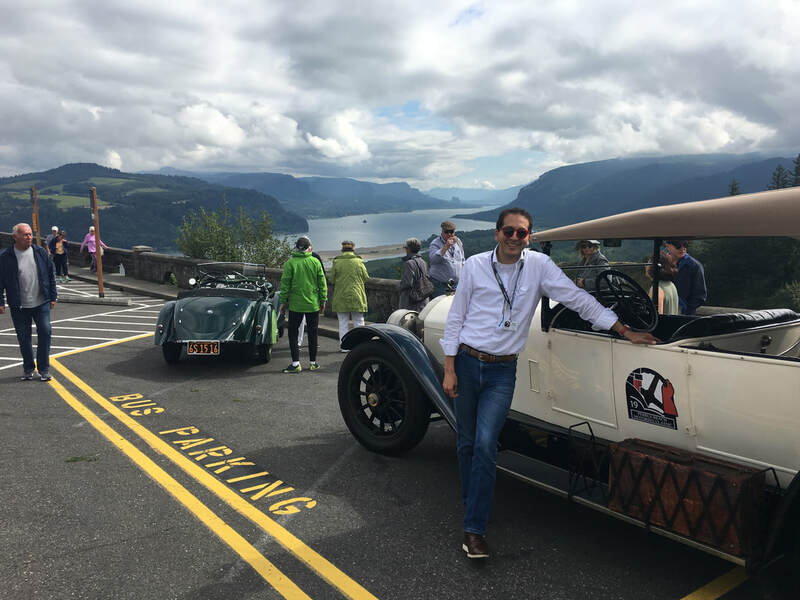 1919 Locomobile Model 48 Sportif, on the Columbia River Gorge Scenic Highway. Since leaving Washington University in Saint Louis with my MBA in 2009, I have developed a niche expertise in the real estate industry. My skills are a common sense approach to solving problems, often through simple solutions that others have missed. This means finding creative solutions for both stable assets and new development projects. Currently, my focus is on the redevelopment of the historic Edward G. Budd Manufacturing Plant in Philadelphia. It mixes my passion for history, the automobile, and community building into an enormous, two-million square foot, twenty-four acre project. Along with my partners, I am very excited to play a pivotal role in the re-energization of a neighborhood so important to America's industrial story. Over the last five years I have also spent considerable time getting to know and understand historic redevelopment through the hospitality industry, from small inn repositioning in Vermont to the ground up development of new hotels. Together with Greenwich Hospitality and the RMS Companies, I reopened a historic hotel in Downtown Hartford, the Goodwin Hotel (recently featured in Travel and Leisure Magazine!). With 124 rooms, charm and a unique style, the Goodwin hopes to be one of the catalysts for a revitalized Hartford. The hospitality industry is increasingly interesting to me, it is a natural crossroads of my warm personality and real estate background. Last summer, I rented THE Donald's Childhood Home in Jamaica Estates NY, and made it into an AirBnB. It's been an interesting entrepreneurial experience, I'm sure you've seen some of the press we've gotten. I can help solve long term building issues; stemming from mismanagement, deferred maintenance, tenant issues or other unforeseen problems. My hands-on approach typically delivers solutions that work, weighing all the variables to save money and time. I relish problem solving in troubled assets, returning to profitability and developing solutions that leave both residents and owners satisfied and happy. Additionally, my entrepreneurial spirit and marketing skills give me the benefit of seeing opportunities that others often fail to identify. I try to have a little fun at work! I have experience in the Midwest, Southwest and the Northeast. I understand the laws that can make the real estate business tricky. I am always looking for new projects, let me know how I can help!